The 15th annual Community Christmas Tree Lighting will be held at the Huber Centre on Monday, Nov. 26. 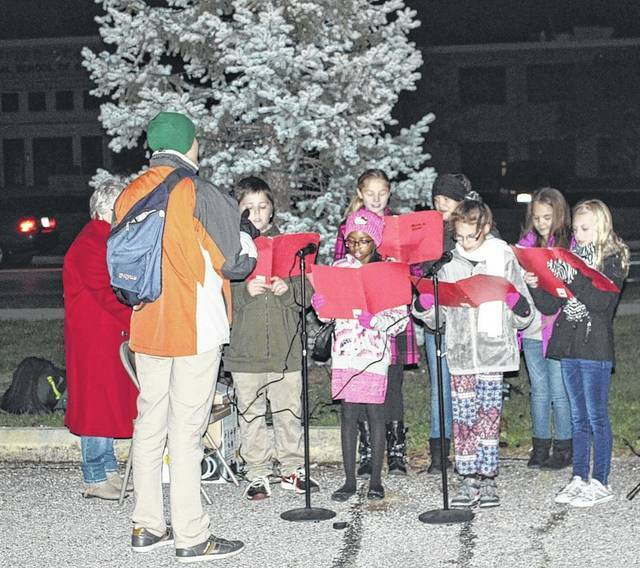 HUBER HEIGHTS — The Wayne Township-Huber Heights Historical Society will be hosting their 15th Annual Community Christmas Tree Lighting on Monday, November 26, 2018 at 6:00pm. The event will be held in the Huber Centre located at Chambersburg Road and Brandt Pike. The lighting ceremony will take place near the entrance into the Centre off Chambersburg Road. Children from Monticello Elementary School will perform, City Manager Rob Schommer and Mayor Gore will speak, and Mayor will light the tree. Santa will arrive by horse drawn wagon and lead everyone the Heights Café in the Centre. Hot Cocoa and Cookies will be served, photos with Santa & Mrs. Claus available ($7.00 per photo), wagon rides provided by Carr’s Belgium’s at no cost, model train display for everyone’s enjoyment. For more information contact the Wayne Township-Huber Heights Historical Society at wthhhs@huberhistory.org or call 937-204-2903.